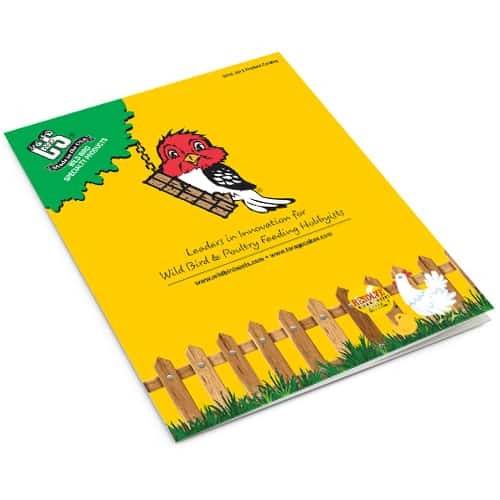 Why Should You Stock and Sell Wild Bird Products from C&S? C&S Products Company is proud to have it’s wild bird and squirrel feeding products sold by the nation’s leading retailers and wholesalers. The only one that may be missing is YOU! If you are a wholesaler, distributor, or retailer, you may find the following interesting – Only C&S allows you to create complete suet and wild bird feeding centers enabling you to realize higher profits by offering the largest variety of bird and squirrel feed flavors and feeding specialty items available in the wildlife feeding industry today. C&S is proud of its leadership position in the feeding industry and our ability to maintain that leadership status, while poised for even greater growth in the future. The following principles have allowed a small, unassuming company that specialized in a very small niche of the wild bird feeding category to become one of the largest bird feeding companies in the entire industry. The highest quality ingredients available go into every C&S feed product. Quality control is of utmost importance at C&S and all facets of feed production are regulated both manually and by the latest in computer technology. Independent research points to the fact C&S Bird Suet has overwhelming acceptance by wild birds when compared to other alternatives. The product is nutritionally balanced to provide wild birds with much needed “energy” when they want and need it. The C&S package has been a work-in-process since day one – and it is still the cleanest, most efficient suet delivery system available today. New “Brick” and “Snak” retail packaging has leapfrogged the competition, which still relies for the most part on outdated cardboard and plastic wrapping. Testing shows our packaging is more acceptable to today’s environmentally conscious consumer. All C&S trays are recyclable. No other manufacturer can claim a higher number of bird suet choices, which appeals to the consumer. Independent research shows that if a customer likes “cherries”, they will be drawn to Cherry Treat, for example. The bird food production and operations process at the C&S plant in Fort Dodge, Iowa is a process of continual improvement. Upgrades, improvements, state-of-the-art technology are deeply embedded into the culture of the company. We simply will not stand still or become complacent in this critical area. C&S employs the latest in computer technology and EDI to insure quick response and action to incoming orders. C&S can also provide Advance Shipping Notice and our professional customer service team can give immediate answers to customer questions. C&S believes in rewarding and empowering its employee associates. The fact that there is extremely low employee turnover, and that most who started with the company are still in its employ, is representative of our commitment to our employees and YOU. Our production efficiencies, inventory turns, and central location with proximity to major shipping lanes, makes 48 HOUR SHIPPING a reality. We’ve had a perfect on time and order fill record since our founding in 1986 that’s unequaled in the industry. C&S Products and our sales representatives make doing business with C&S easy and profitable! All utilize the latest in communications and computer technology, all calls are returned promptly, and answers are quick and accurate. The four Ps of marketing drive our marketing efforts—with a fifth “P” being “Profit” for our retail customers. Leaders in MAKING BUYERS HAPPY! C&S Products typically records double-digit sales increases with its retail and wholesale customer base. The increasing popularity of wild bird feeding, coupled with ease, convenience and new C&S product offerings makes yearly increases the norm. Need a winning program? Let us help you put it together. Contact us today and we will help you put together your next winning wild bird feeding promotion!